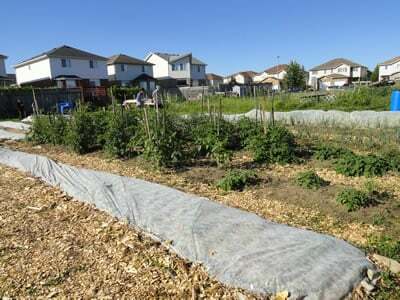 Village Gardeners community garden on Upper Grand District School Board property on Stephanie Drive in Guelph. Read a story about the garden in the Guelph Mercury. Photo by Susan Moziar. The UGDSB encourages community partnerships in the delivery of all our programs, especially environmental education which by its very nature requires public engagement in order to encourage positive global change. Each community in Upper Grand has its own unique organizations and individuals who support our schools. For example, schools are making connections with organizations like Focus on Nature (photography experiences with students outdoors) and Nature in the Neighbourhood (outdoor education experiences within school neighbourhoods). Project Neutral, supported by eMERGE Guelph, held a contest with Guelph high schools to encourage families to reduce their carbon footprint. The Green Legacy, Trees for Guelph and Evergreen have all supported schools in greening and naturalizing school grounds. The Upper Grand partners with the Island Lake Conservation Area to run its Outdoor Education programs from that site , and the Grand River Conservation Authority also offers many schools with curriculum-linked field trips. A growing number of Upper Grand schools, especially those involved with the EcoSchools program, are engaging members of their community and neighbourhood groups with the establishment of community gardens. Community gardens, particularly vegetable gardens, are gaining in popularity, as sustainability becomes an important consideration in our food choices. For a list of all community gardens in Guelph, go to Community Garden Locations. If you are a community organization wishing to partner with the UGDSB, we welcome you to contact the board’s Environmental Sustainability Lead.